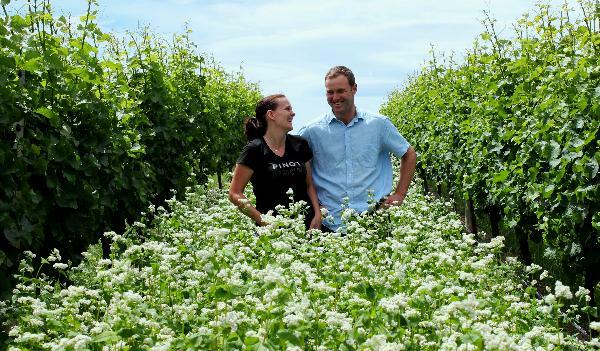 Te Whare Ra (TWR) is a small organic certified vineyard and winery located in the Marlborough sub-region of Renwick, and since 2003 has been owned by winemakers – Anna & Jason Flowerday. The 11Ha vineyard is planted to 7 different varieties and was first established in 1979. Yields are kept low, the vineyard is managed with a combination of organic and biodynamic practices and all the fruit is hand picked and hand-sorted. The wines are made with minimal intervention in a small winery which has been specifically set up for small batch winemaking. Te Whare Ra (est 1979) is the oldest small winery in Marlborough and home to the oldest vines. Certified organic winery & vineyard. Producer of outstanding aromatic whites & exceptional Pinot Noir. Named “NZ Winery of the Year” in 2014. Come and taste our wines with the people who actually make them.